Quinoa as we all know by now is super grain because of its unique characteristics. 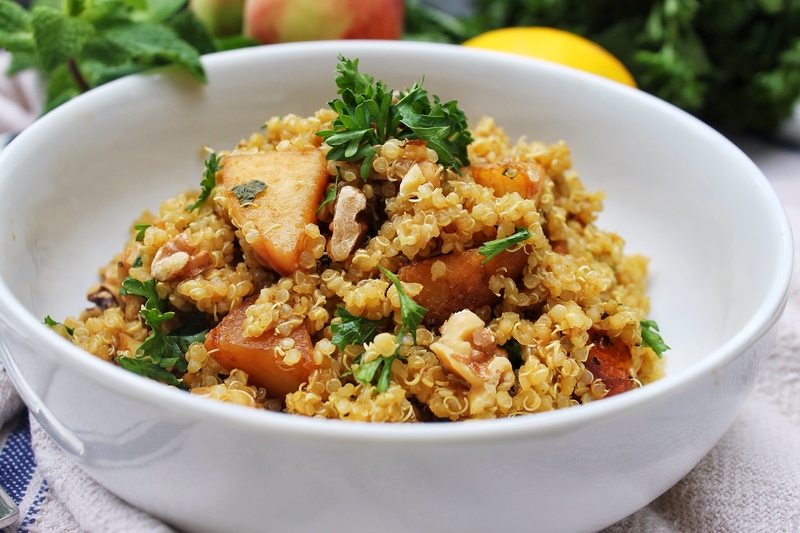 Quinoa is a complete protein and contains all eight essential amino acids. This makes it a great meal for vegans and vegetarians or as a substitute for rice or other grains and starches. I’ve seen this grain used in so many great ways. Like rice, it is versatile and can be used in savoury and sweet dishes. Plus, it is naturally gluten free! 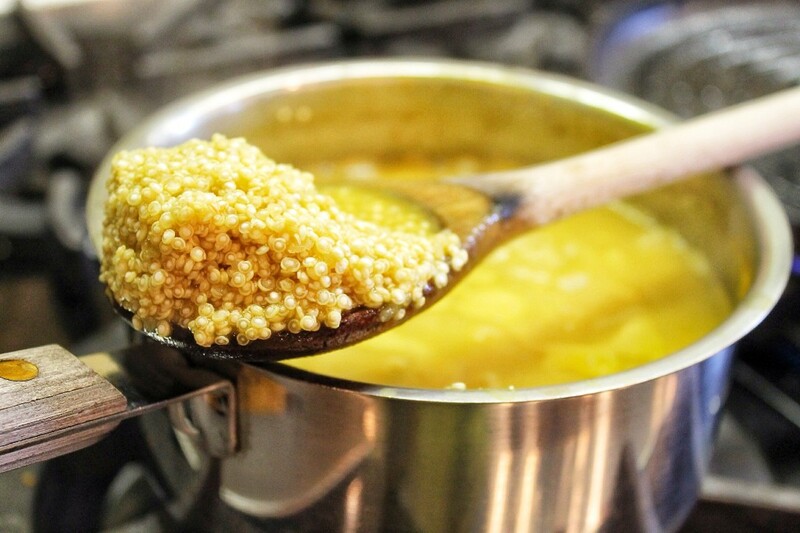 I like to cook my quinoa in vegetable or chicken stock to let the grain absorb all that flavour. This will reduce the amount of sauce, oil, dressing etc.. you will need to flavour the mild tasting grain. It is a must for this recipe! You can make your own veg stock or buy low sodium organic stock or broth in most grocery stores. The ingredients should only include vegetables, no funky chemicals or added salt. Now that summer is here, everyone is craving those light refreshing flavours. Fresh herbs and citrus are always in my fridge for fresh teas and juices. 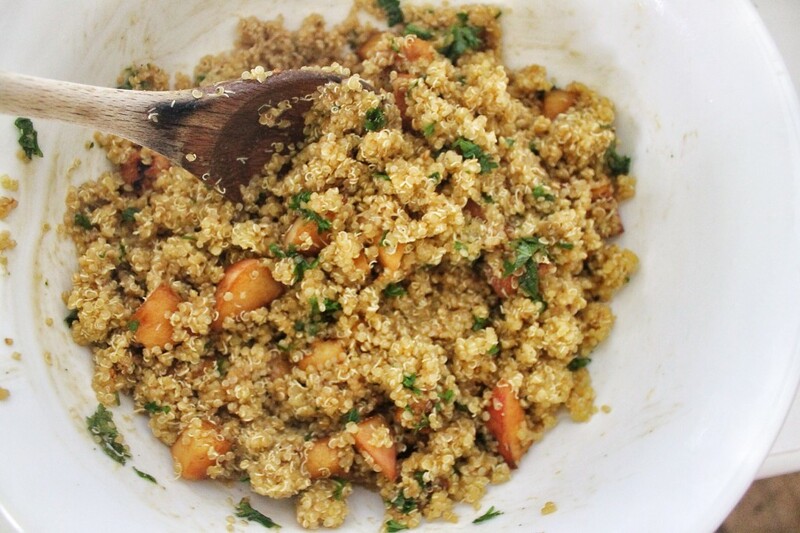 They also add great light flavour to desserts and main dishes alike without adding unwanted oils, sauces etc… I really wanted to make a quinoa that was both sweet and savoury but really refreshing and light at the same time. 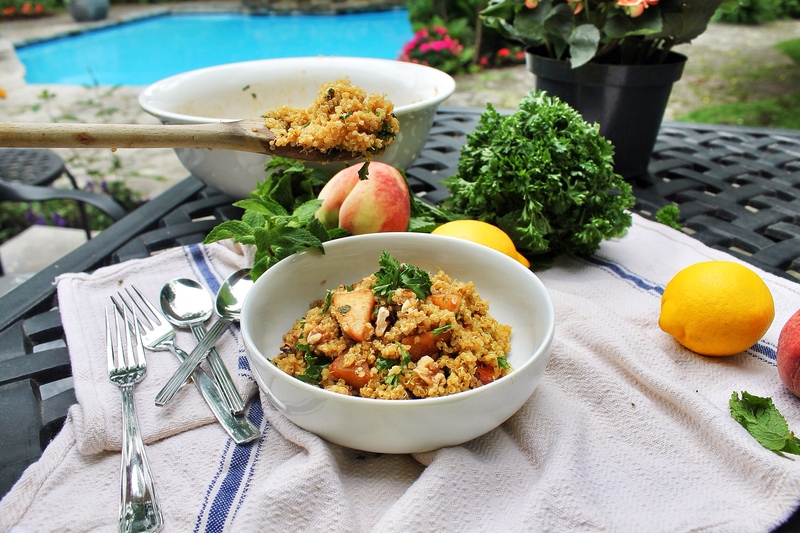 By grilling the peaches with honey and balsamic they get a beautiful caramelization and smoky flavour that combines beautifully with the crunchy walnuts and savoury quinoa. Dressed in lightly acidic vinaigrette and fresh mint and parsley makes it a perfect merry of vibrant flavours! If you eat dairy it would go perfectly with some crumbled goat cheese or salty feta (yes, I do miss cheese sometimes). This is DELICIOUS with fish or a great light lunch on its own. I had on top of some raw kale for a protein packed lunch and it was so filling! Remember that for every cup of uncooked quinoa you will get about 3 cups cooked. So reduce or add more depending on how many this will serve! Make sure to adjust the seasonings if you change the amount of quinoa! Bon appetit! 1. Rinse quinoa well in a fine mesh sieve. Bring quinoa and vegetable stock to boil in saucepan; cover. 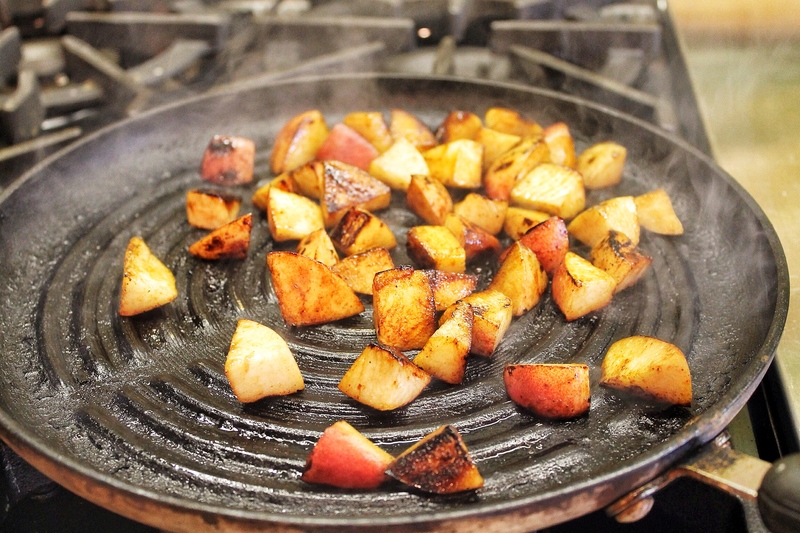 Cook on medium-low heat 10 to 15 minutes or until all liquid is absorbed. Fluff with a fork. 2. 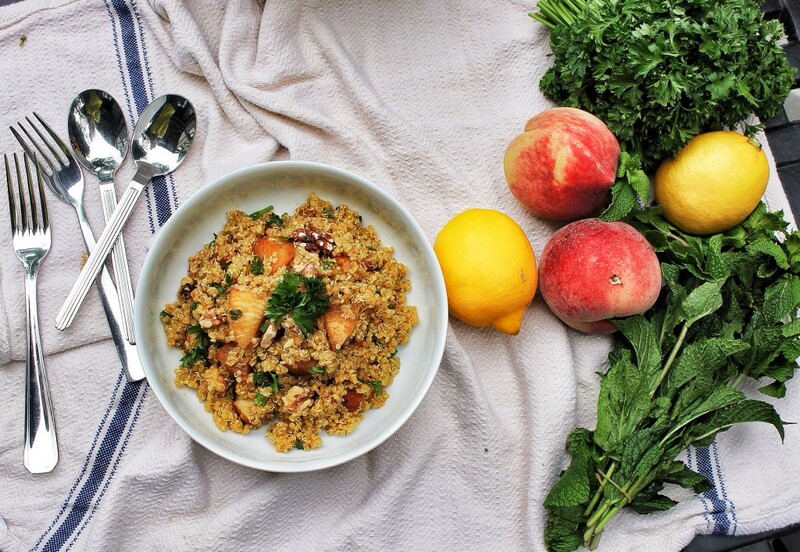 While the quinoa is cooking, prepare the peaches. 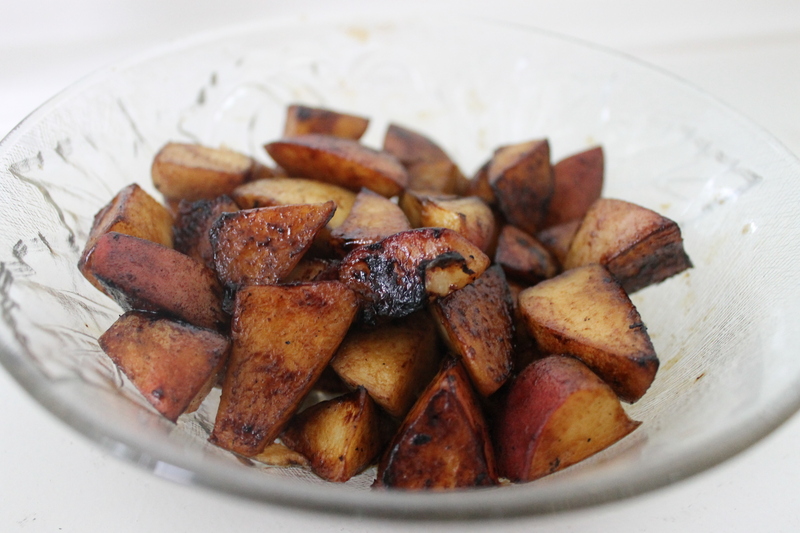 In a medium bowl whisk the balsamic vinegar and honey until combined. Toss the chopped peaches in the mixture until well coated. 4. 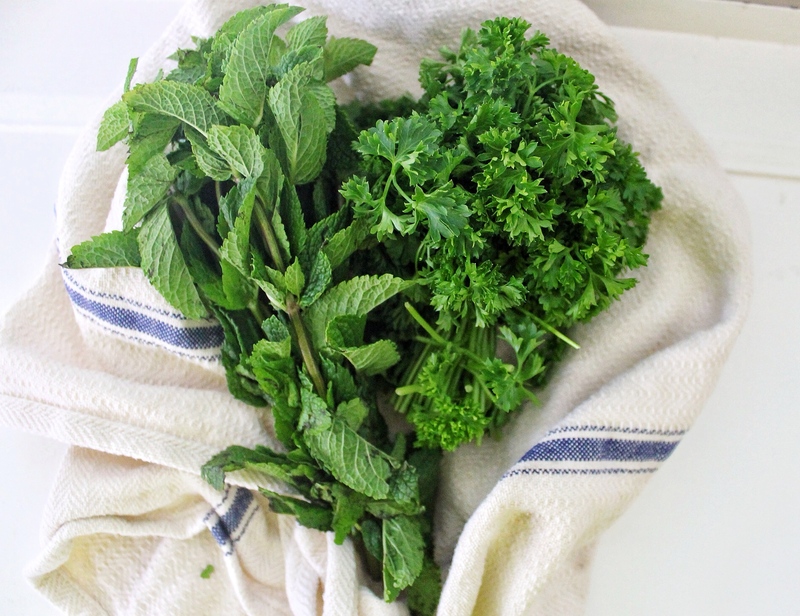 In a large serving bowl whisky together the chopped mint and parsley, olive oil, apple cider vinegar, red wine vinegar and juice of one lemon, salt and pepper. 5. Take the cool cooked quinoa and toss in the dressing until combined. Add walnuts and peaches. Enjoy! This looks great! I bet the grilled peaches and mint go really well together, and with a bit of crunch, yum! I don’t have a grill, so I love the option of doing the peaches stove top. That I can do! Thanks for the recipe!